NRA Basic Instructor Training opens with an exercise on “How to Introduce a Speaker” designed as an icebreaker. You’re paired with another Instructor Candidate, spend a few minutes in exchanging information, and introduce each other to the class. Immediately you start learning how to talk on your feet while we teach you how to offer useful praise and constructive suggestions. We help you conquer shyness and develop a communications bridge with a group of people who depend on you for positive instruction. Our classes establish an atmosphere in which your fellow students assist us in helping you succeed. All courses include the required NRA documentation, instructor guides, student packets, instruction and follow up support. You will receive everything needed to first take and then teach each course. 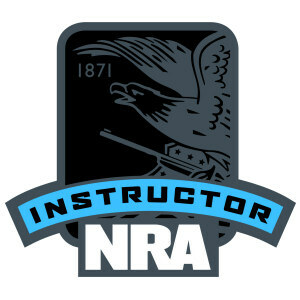 Note: There will be processing fees payable to the NRA due upon the completion of class. Fee’s are determined by how many and which courses you attend. All demonstration equipment is supplied.